IN THE CULTURAL WHIRLWIND that was 1965-'67, the Daily Flash successfully blended American folk, blues, jazz, and early psychedelic rock elements into a great and unforgettable sound. Conceived in Seattle in the summer of '65, the band consisted of the unlikely combination of: Don MacAllister, a mandolinist-turned-bassist and founding member of the Northwest's long renowned bluegrass trio, the Willow Creek Ramblers; Doug Hastings, a young northend hit-shot lead guitarist; Jon Keliehor, a serious classical percussionist; and Steve Lalor, a New York folk musician and member of the Driftwood Singers, house-band at San Francisco's North Beach folk mecca, the Hungry i. It should be remembered here that Seattle was the then center of a now-legendary '60s regional teen-dance scene. And it was the base for mythic legions of damned-near-identical rockin' combos with squealing rude saxophones and Wurlitzer organs pounding out two-&-1/2 chord tunes – all while group members in silly matching uniforms did their bouncy synchonized kicksteps and mumbled something about "Louie Louie." Well…the Daily Flash were different. They appeared with a ringing 12-string guitar, pure vocal harmonies, and unique interpretations of obscure folk tunes, Bob Dylan songs, Beatles hits, jazz covers, along with some interesting originals. Needless-to-say: they were not exactly welcomed with open arms by the established scene-makers. The group, however managed to attract a loose-knit following of old University beatniks, teenage runaways, coffee addicts, and student fringies. 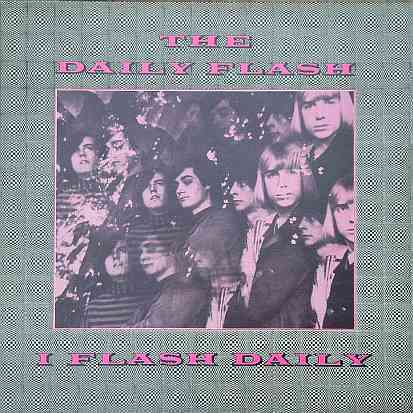 They quickly became Seattle's first alternative psychedelic band. Out of sheer necessity, the Flash resorted to guerilla marketing strategies, holding their own dances at various locations including the Painters and Socialists Workers halls, and hand-inking their own performance posters. At this time the Flash cut their first demo disc: a take on Dylan's "Let me Die In My Footsteps," in the home of a folk musician friend. One night, while performing at a downtown hangout – The Door – an inspired local record distributor proposed the release of their first single, "Jack Of Diamond" / "Queen Jane Approximately." It was licensed by a big-time label – Parrot Records – but received little promotion outside of the Northwest. But, the record cultivated the interest of a high-powered music biz interest – the Greene & Stone talent agency who were then managing Buffalo Springfield and Sonny & Cher among other acts – who MacAllister had met during his bluegrass days at Los Angeles' Troubadour and Ice House rooms and the band scored a management deal. In the spring of '66 the Flash loaded up their '48 Packard hearse – replete with its LSD-referencing "I Flash Daily" bumpersticker! – and tripped off to Haight-Ashbury, playing the fledgling Avalon Ballroom, before heading on to LA. Settling in at the Tropicana Hotel, the band played numerous shows at the Whiskey A Go Go with bands that included the Byrds, the Sons of Adam, and Love. Over the following months they also performed in San Francisco, Seattle, New York, and Vancouver B.C. Canada – on bills with such stellar artists as Buffalo Springfield, Jefferson Airplane, Big Brother & the Holding Company, the Grateful Dead, Country Joe & the Fish, Quicksilver Messenger Service, Taj Mahal, the Seeds, Sopwith Camel, Moby Grape, and the Yardbirds. In Hollywood, the Flash found themselves making their television debut on the Boss City teen show – not to mention a bizarre appearance on a spy series, The Girl From U.N.C.L.E. It was in early 1967 that their second single – "French Girl" / "Green Rocky Road" – was released by a brand new big-time label: UNI Records. And although it became a genuine Top-40 regional hit back in the Northwest, the disc just didn't garner significant airplay nationwide. That was America's loss – but as the Flash wasn't building up the momentum that they rightly should have, their spirits began flagging. Keliehor – whose skills had earned him a role as The Doors' substitute drummer -- left in May '67 to pursue other endeavors and Hastings – who, likewise, filled in for Neil Young on occasion with Buffalo Springfield (his photo is included on the back-cover of their 1968 LP, Last Time Around – also moved on. But the Daily Flash persevered, adding two Northwest teen band veterans: guitar whiz, Craig Tarwater (from Walla Walla's Randellas), and drummer Tony Dey (from the Wild Knights). This revamped Daily Flash visited Seattle during the Summer of Love, sharing the stage with the Grateful Dead, the Doors, and others. The Jet City had evolved: its historic Eagles Auditorium was now in full bloom with "flower children" dancing to regular shows by new local bands including the P.H. Phactor Jug Band, Magic Fern, Time Machine, and Crome Syrcus. Psychedelic light shows were held under the wary gaze of police, and the whole scene was covered by local underground papers including: The Helix, The Seer, the Acid Test, The Avatar, and the Oracle. The Flash struggled on into the beginning of 1968, performing their final gigs with another Northwest pal, the Dynamics' former drum ace, Ron Woods. Finally the group disbanded. Hastings helped form Los Angeles' Rhinoceros later that year and played a multitude of other sessions before trading in rock for a career in geology. Sadly, after considerable sessionwork with noted L.A. bluesmen, MacAllister died of a drug overdose in November 1969. That same year, Keliehor and Lalor formed a new group, Popcorn, which later changed names and released a country-rock album as Bodine. Keliehor later moved to London to work on experimental percussion projects, and Lalor retuned to the Northwest where two decades later he would revive the Daily Flash who have drawn enthusiastic crowds regularly ever since. 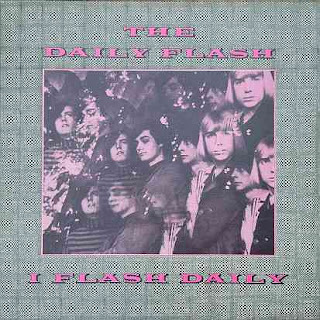 In hindsight, the Daily Flash simply represented the very best facet of the psychedelic folk rock era, yet they remained a neglected group that somehow got lost in the shuffle of recording industry priorities. Those of us who loved their records or saw them live in action, however, will never forget the eternal beauty of their best work.